Plans are moving ahead for the $1.477 billion New Air Combat Capability Facilities Project, which will house the 72 new F-35A Joint Strike Fighter aircraft that the Defence Department has ordered. The plans for the F-35A’s facilities have been referred to the Parliamentary Standing Committee on Public Works. Defence is spending billions on the new jets in the hope of finding air superiority in the future, but the F-35A project has been hampered by massive costs and design issues, catching fire ahead of its most recent attempted debut. Still, Defence is hopeful that the repair and maintenance of the planes will bring plenty of new jobs. “This project will offer strong economic benefits for local industry across the country, predominantly in the Newcastle and Katherine regions, with potential involvement for local sub-contractors to be part of the development,” Parliamentary Secretary to the Minister for Defence Darren Chester said in a statement. Mr Chester also announced Parliament has approved a $54.8 million project for facilities to support seven new CH-47 Chinook Helicopters. 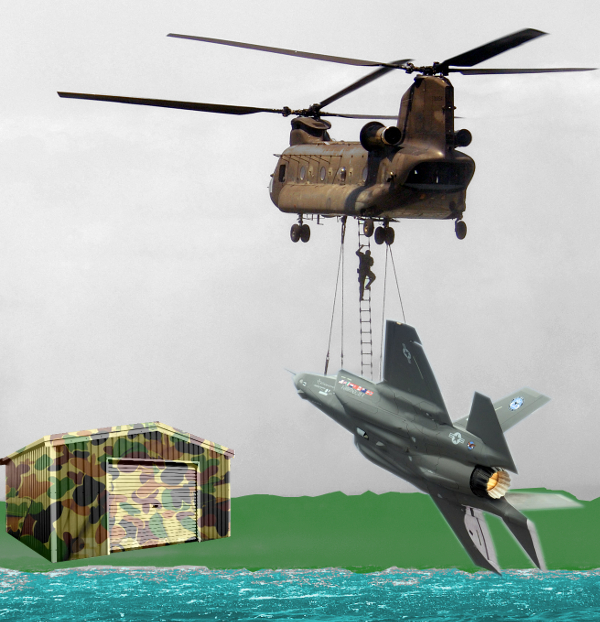 A range of infrastructure and facilities will be built and upgraded at RAAF Base Townsville to welcome the new Chinooks. Seven CH-47F Chinooks are coming in to replace six older CH-47D models in Townsville. The Chinook has a military engineering legacy going back to 1961, but the models soon to land in Australia may be the last. As deliveries of the latest model CH-47F continue to reach customers, Boeing is already looking at future enhancements to the contra-rotating twin-rotor helicopter, which may see an entirely new vehicle emerge. The company has flagged near-term improvements such as strengthening the airframe to accommodate more powerful engines, and potentially tonnes more lift capacity. Beyond that, Boeing says it will look at ways to accommodate post-2030 weaponry and vehicles in the Future Vertical Lift (FVL) programme, which could introduce the next generation of military helicopters.